A retelling of the fairy tale Rapunzel. Uses an unusual game mechanic where units of time can be removed from old objects (making them younger) and added to other objects (to make them older). 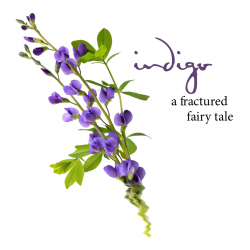 Indigo (Emily Short; 07-May-2011; TADS 3). Indigo New Language Speed-IF: entry. XYZZY Awards 2011: Finalist, Best Individual Puzzle (escaping the tower). Indigo - at ifwizz interactive fiction (in German). XYZZY Review for "Best Individual Puzzle" by Lucian Smith. This page was last modified on 21 June 2016, at 12:53.